You are here: Home / Magazine / Thanks very much! 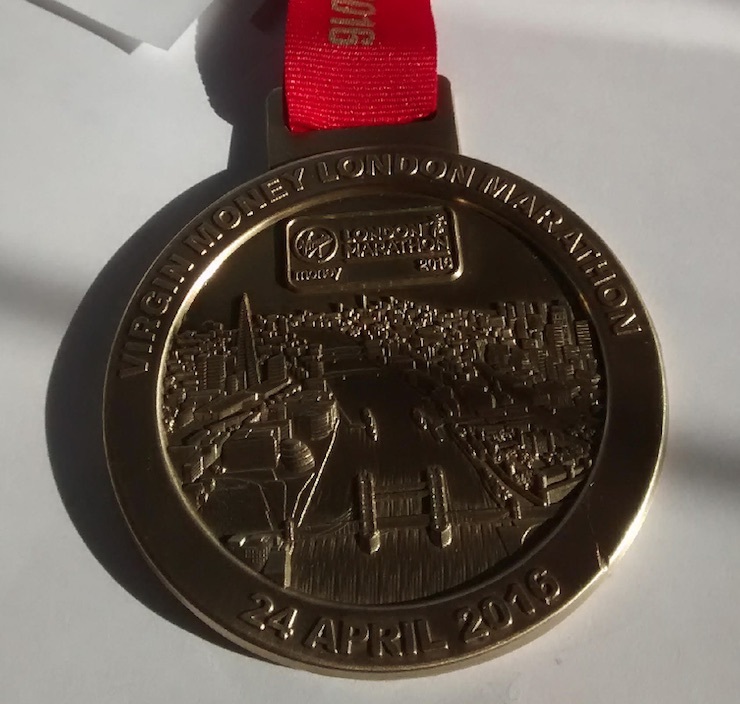 Just a quick post to say thanks very much to everyone who sponsored me for this year’s London Marathon. At time of writing a total of £264.03 (inc. gift aid) has been donated, which is really great! The donations will be shared equally between Macmillan Cancer Support and Parkinson’s UK. If you’d like to make a donation you can do that right here. I won’t bore you with the details other than to say my finish time was 3:26:49 (I might blog about it elsewhere – I’ll mention that if I do). Not bad, though slower than my target of sub 3:20:00. Other than a few moments in the last six miles when I asked myself why on earth I put myself through this (it was my fourth marathon), I really enjoyed it and it was a great experience. Only one more bruised toe nail and no blisters! My legs are pretty sore right now but I reckon a mid-week jog down to Red Rocks is on the cards. If you fancy having a go yourself, the ballot for next year’s marathon opens on Monday.